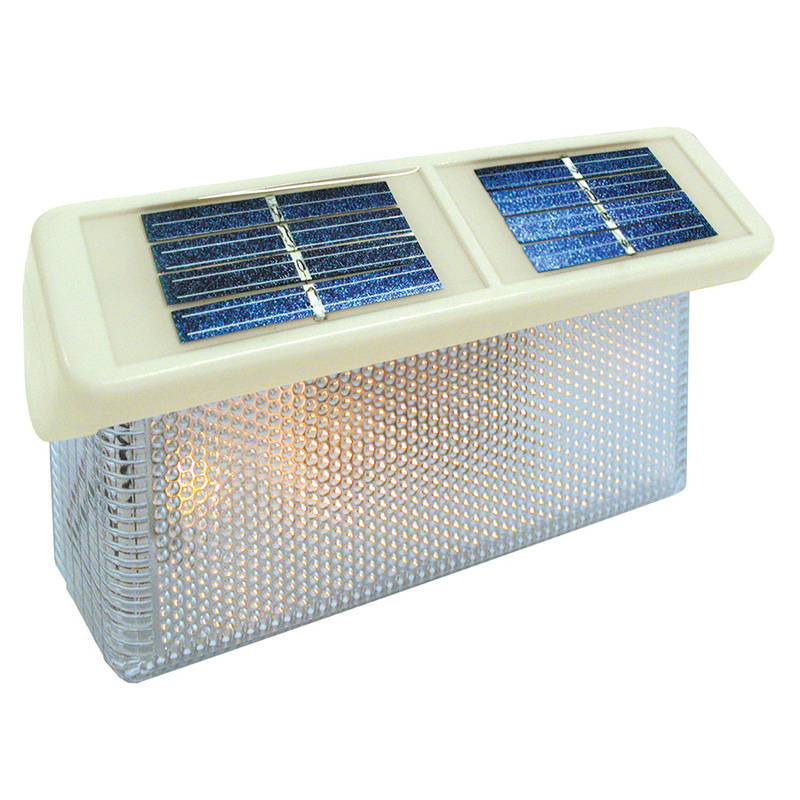 The Solar Cambridge Lantern light has a glass len and white LED. It is perfect addition to formal garden decoration. One super bright light LED. 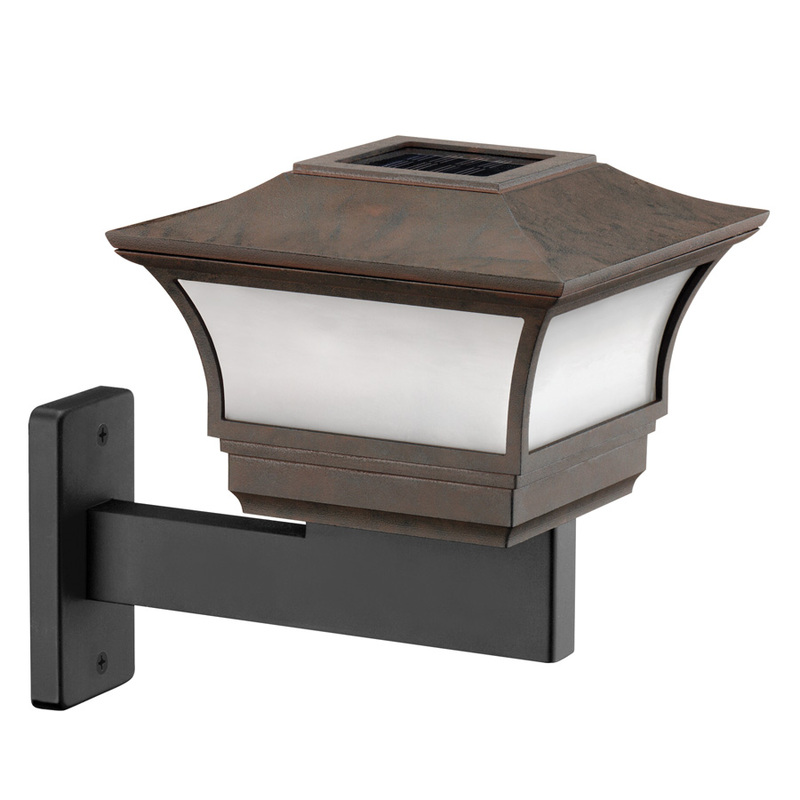 This hanging path light will add style and grace to your pathway. The unique squared shepherd's hook is very detailed. 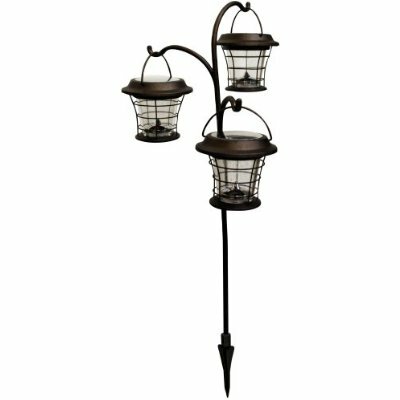 Decorative, yet functional, with a unique, hanger design and this light comes in a bronze finish with a butterfly art window pane-like appearance. 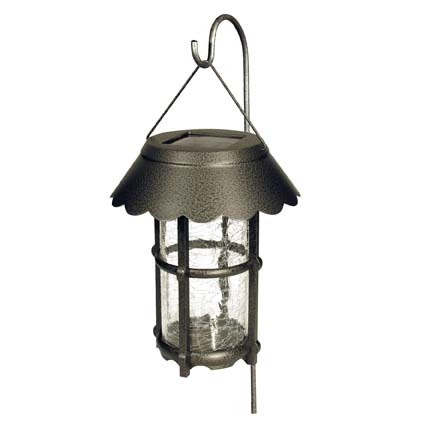 The Solar Hanging Buttery Lantern is the ideal way to accent your pathway or landscaping areas. 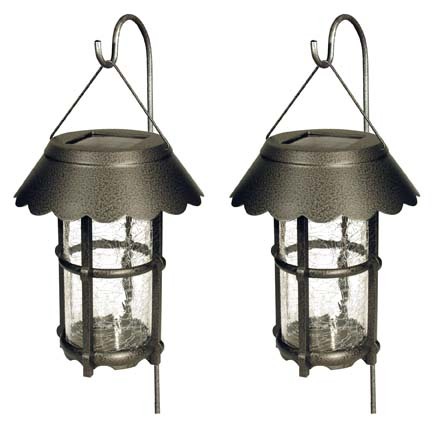 Each light is made with durable, weather-resistant casing designed to last for years. This Solar Hanging Butterfly Lanterns Light includes long-life, rechargeable batteries that provide up to 8 to 10 hours of lighting per charge at night. No wiring is required, and using these light save you money on your monthly electricity bill. Decorative, yet functional, with a hint of faded copper, this light comes in a an oxidized copper green patina finish with a unique opaque window pane-like appearance. 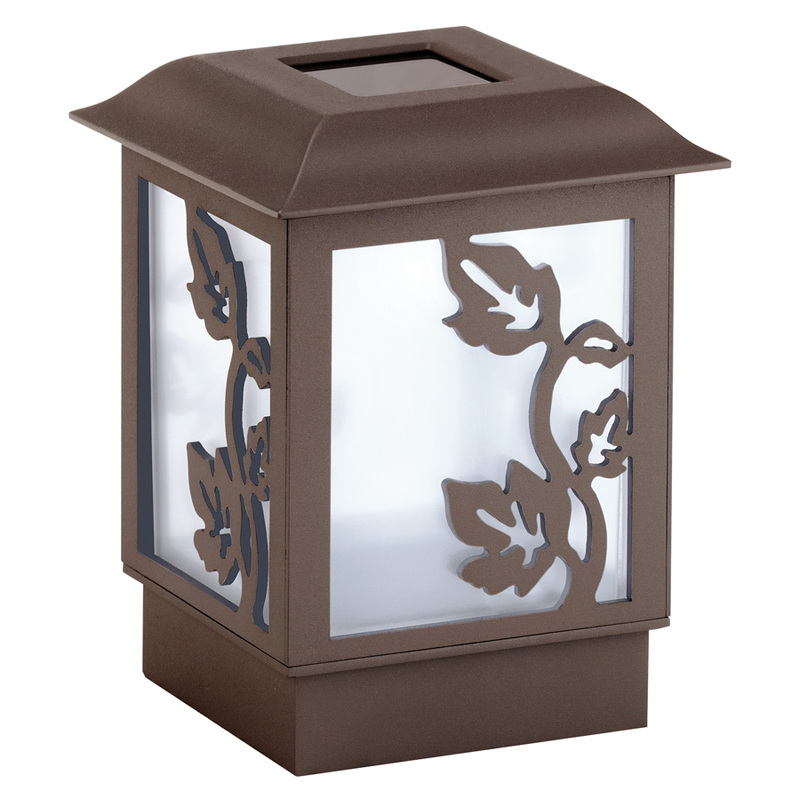 The Solar Lantern is the ideal way to accent your pathway or landscaping areas. 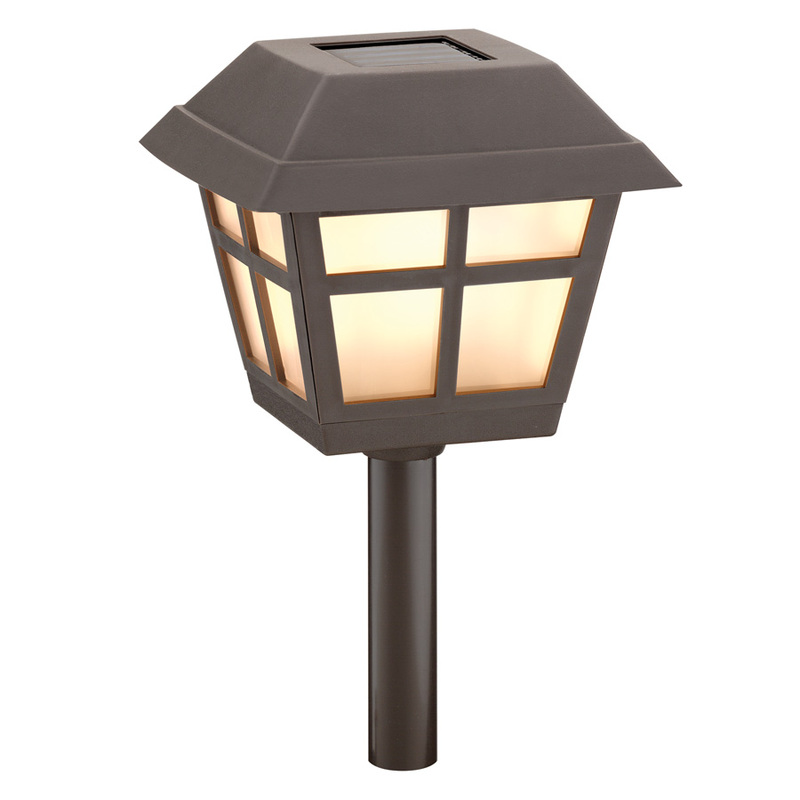 Each light is made with durable, weather-resistant casing designed to last for years. The white LED light included with each unit automatically activates at dusk which means no tangled cords or complicated timers to bother with. And installation is a snap. Just decide where you want to position them and just pust the stake into the ground. No trenching for wires and no obstacles to overcome. 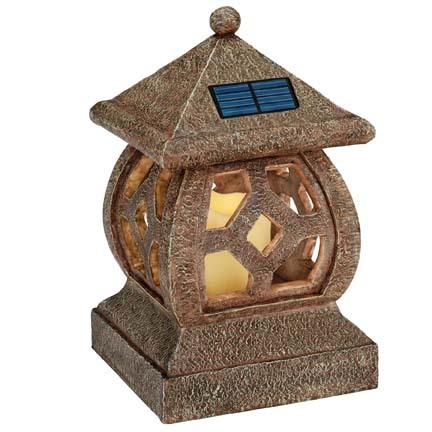 This set of two Solar Lanterns and landscaping light includes long-life, rechargeable batteries that provide up to 8 to 10 hours of lighting per charge at night. No wiring is required, and using these light save you money on your monthly electricity bill. The Solar Lantern is classically designed lamps are ideal for areas surrounded by taller foliage and require no powering from an AC source. It can be installed anywhere they will receive sunlight; the brighter and more direct the sunlight, the better the charge. The powerful solar panels collect natural sun light and charge the internal rechargeable batteries during the day. 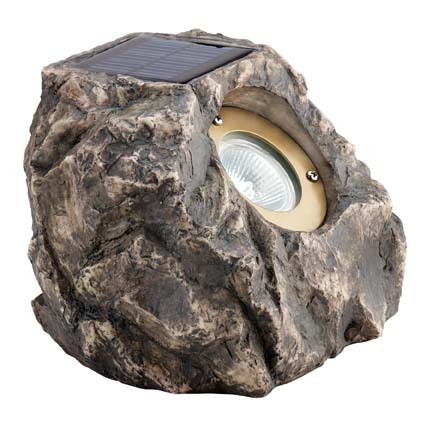 As night falls these solar lights will activate and can shine for up to 12 hours when fully charged. Includes a ground stake and shepherds hook.